Love the boat.., what I do not understand is the excessive power.., why not C-15s.., that is a better weight /power ratio/size package for this boat. What is the target top end speed? 45+ knots? 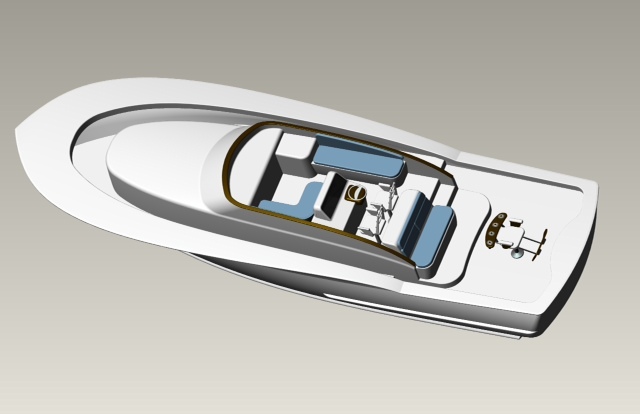 Robert, C-15s would indeed be a nice power option for this size boat – they are very efficient, and would certainly provide acceptable performance, both at cruise and top end. However the owner of this particular boat has several others in operation currently, and has seen very good dependability with the C-18 power. He was personally hesitant to install relatively new power in the boat, when the track record with the C-18s have been so well proven in the field already. 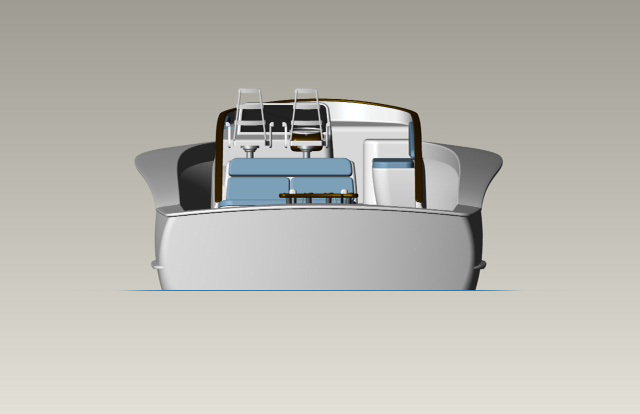 The upside to the larger power is there will be some gains in the stability of the boat as a fishing platform, and the added power will allow the cruise speed desired to be accomplished with very low RPM. Top speed will also be higher than compared to the c15. In fact, you are pretty close on your estimate for the top end speed. 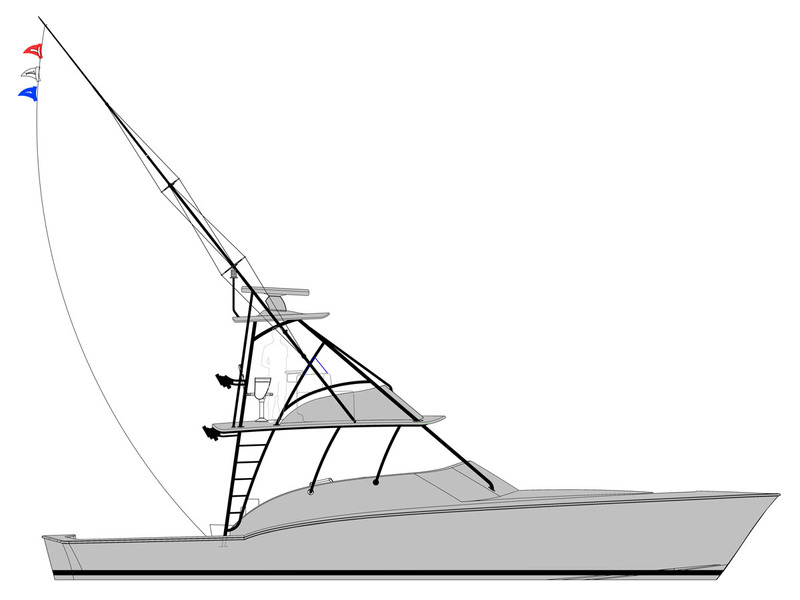 Our projections are that the boat will cruise at around 32.5 knots at 1800 RPM, with a top speed of around 44 knots. 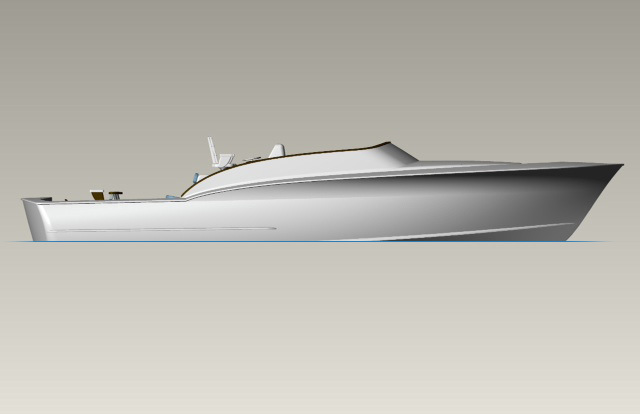 It should be a very long-term power source for the boat, as the engines will be able to perform very nicely while just jogging along… We look forward to seeing this one on the fishing circuit when she’s completed and hope you keep in touch with the progress in the meantime! 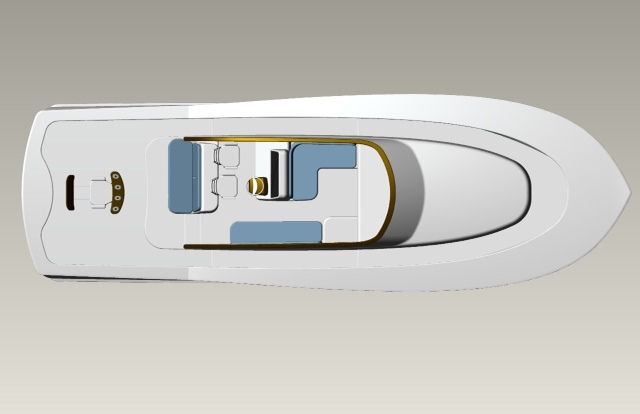 Thanks Ewan, all our custom hulls are in fact one of a kind and this one even has a unique innovation to the transom design that will be the first of it’s kind in the industry! on this project. A boat in this size should be fast. Thanks for your interest Robert. Be sure to check back on the construction gallery or follow us on Facebook for updates on this build’s progress. Hello,I’m interested in your 46 walk-around. Will you be at the Miami Boat Show?